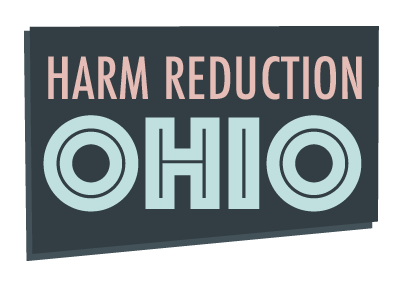 Harm Reduction Ohio welcomes Dylan Stanley of Columbus as our new head of community outreach. Dylan is a super-smart human rights activist and dynamic speaker who has represented Harm Reduction Ohio brilliantly at many events, including the recent drug policy conference at the Ohio State University law school. 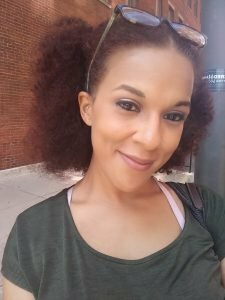 She was featured on a panel called “Nothing About Us Without Us: What Impacted People Want and Need,” moderated by HRO’s advocacy director Taylor Bennett. “And she’s funny,” he added. Dylan was an active IV heroin user until the birth of her daughter, Ruby, in May. She is now a medication-assisted-treatment patient on methadone. Dylan is working to get back to school to finish her B.S. in Mental Health and Addiction Studies so she can become a licensed addiction counselor. If you’d like Dylan to speak at an event or train, she’s especially articulate on issues such ending stigmatization of drug users, the value of syringe exchange programs (one saved her life) and what life looks like when your dependent on heroin. Watch this excerpt of Dylan speaking in Newark, Ohio, at a community syringe program forum. You can contact Dylan at dylan@harmreductionohio.org. 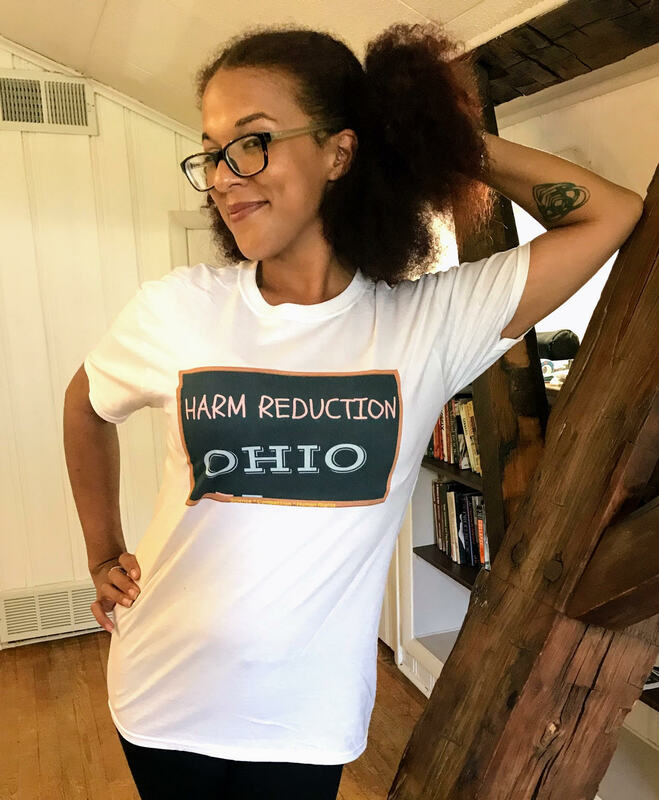 Dylan also happens to be a talented T-shirt model, as you can see here as she models the popular Harm Reduction Ohio clothing line, available here, in white or olive green, for $25 tax deductible contribution to our non-profit 501(c)3 organization.